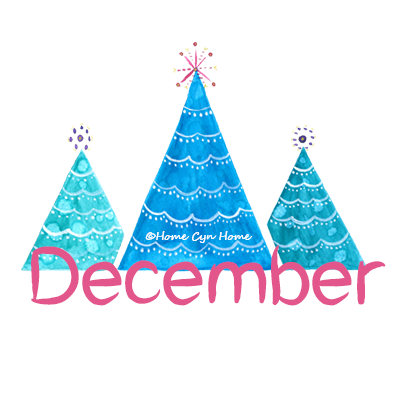 December Calendar blog post (which you can download here). It was neatly written, I even put a reminder to schedule that post in advance in the "To do this week section". And it still went to the dogs! I honestly can say that this past week has been a blur of classes, trying to finish project, get some cookie dough ready, and the ever omnipresent task of promoting my work, my blog, and working on growing my Instagram audience. I also realised 2 weeks ago that the advent calendar that served us well for 4 years got ruined in storage, not directly by moisture, but because the Absorbia pouch I put in the box leaked and damaged several cups. That lead to me having to think very quickly on how to make a new one, and yes that will be the topic of a different blog post. So is the madness of this end of year, and it will keep on going, because there is a few social events and gathering lined up, and quite a few things to wrap up before we ring in the New Year. One of the biggest task in the week or so to come being to complete the 2019 edition of the printable calendar. I'm almost done, and if you follow me on Instagram, you know what the theme will be. But back to this December's calendar page shall we? This design was a big hit last year when I created it and uploaded it. 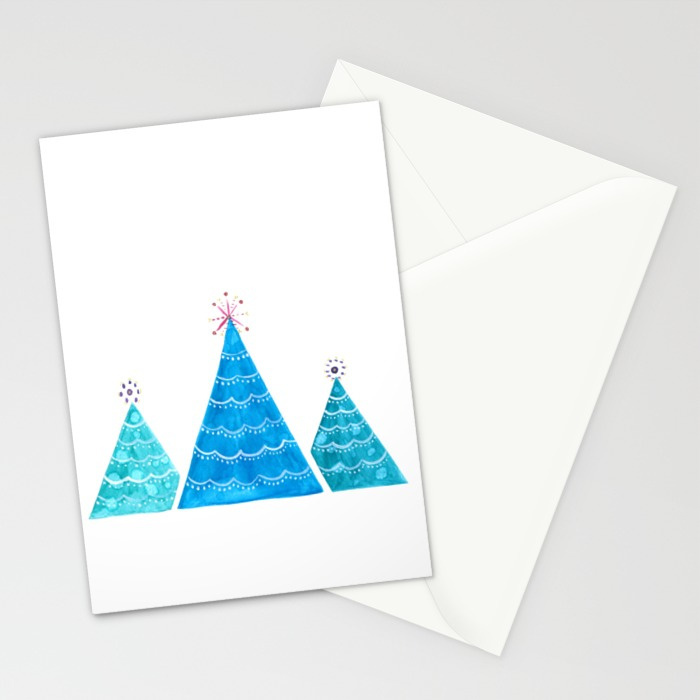 I was in my blue watercolor phase and created a trio of cute little minimalistic Christmas trees. 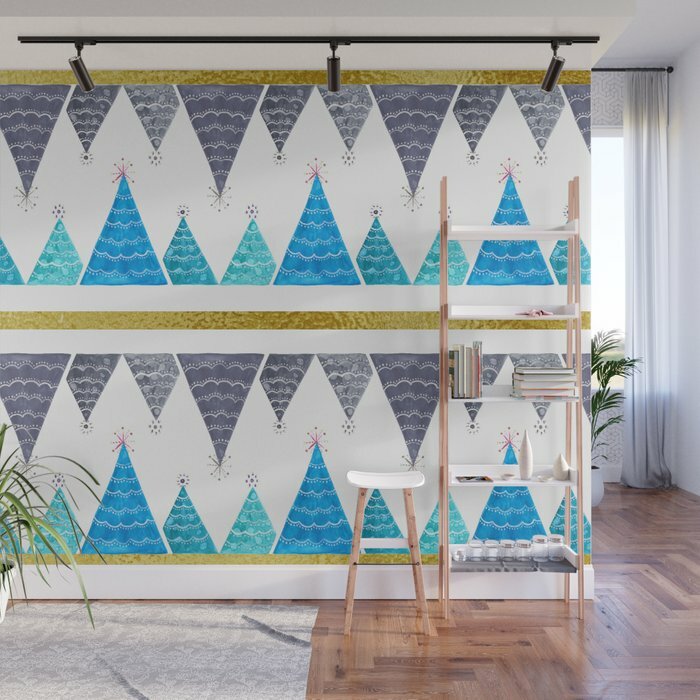 Believe it or not, but I sold TWO shower curtains with that design on in less than a week last year. That goes to say that when uploading designs on Society6 it's impossible to say what will or will not sell. 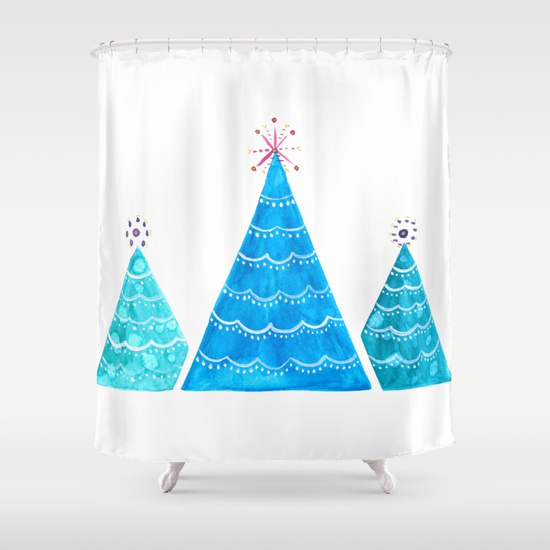 Having a Christmas ready bathroom was never really a thing I thought about, but clearly some people do care about that. That design is pretty much available on everything in my Society6 Shop, including greeting cards. And more recently on their newly launched furniture line and acrylic boxes which are a super cool alternative to gift wrap. 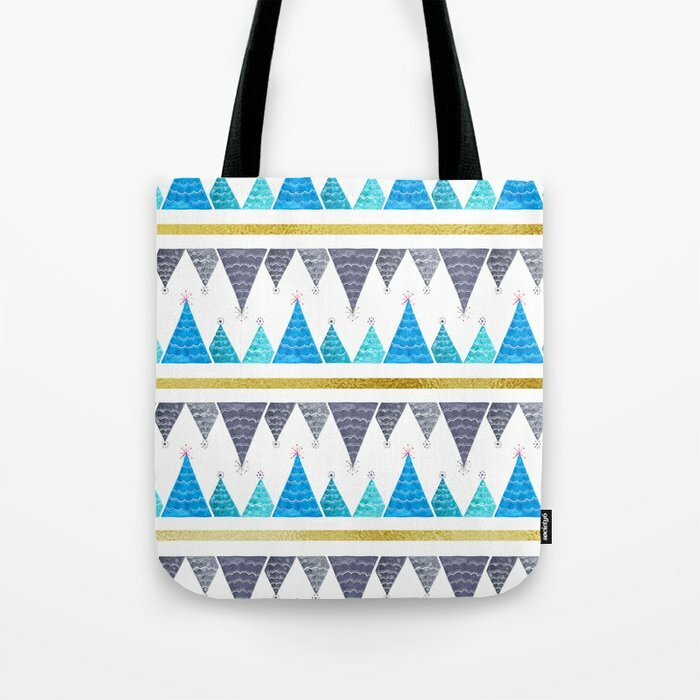 I turned it into a stripes pattern that is available on pretty much every items, like this tote bag, which again could be a great eco-friendly alternative to a paper gift-bag. 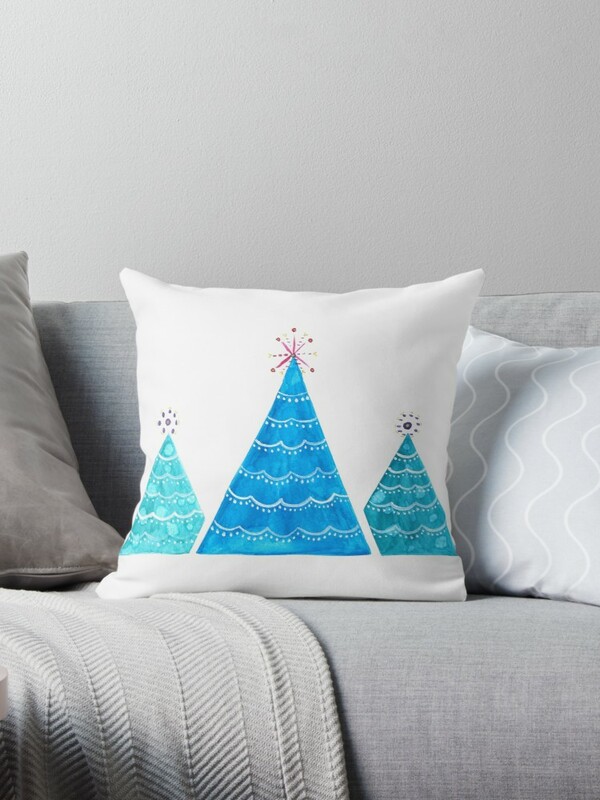 I should promote Redbubble more often, but their strength is apparel, while my core interest lies in Home decor items, and for that Society6 pretty much rules. I should make it a goal to test their services in 2019 and share my experience here, as I have done twice with Society6 with a carry all pouch and a cutting board. 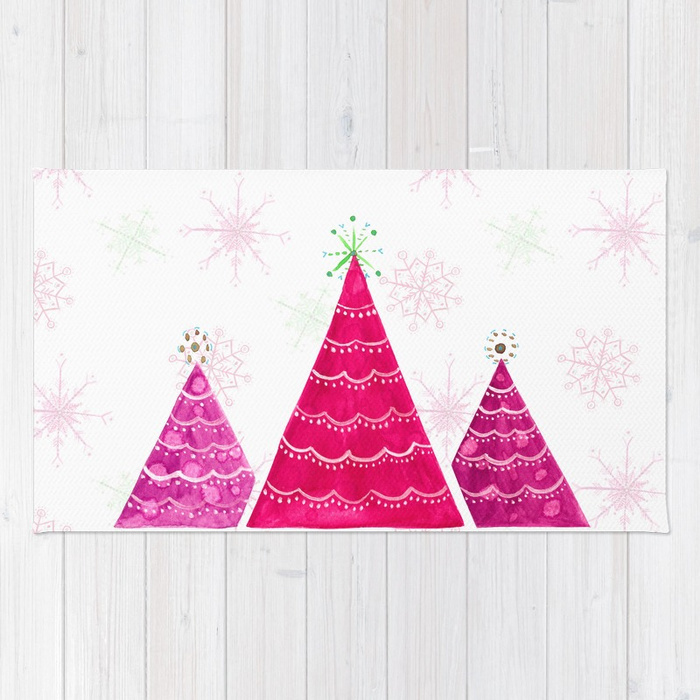 In that design variant, I actually merged two artworks into one : The Snowflakes and the Minimalist blue trees, which both became pink with a little Photoshop magic. Featured in the picture above is the floor rug from Society6 if you were wondering. With all that done, I am off to tackle the rest of the tasks on Today's to do list, and will be back on the blog very soon to share our 2018 Advent Calendar pictures.